Blueberry juice is delicious and even more so when it’s homemade. The fact that the polyphenols found in blueberries can be potentially powerful anti- cancer agents makes blueberry juice all the more in demand. But why buy the bottled, commercially-prepared variety when you can make your very own fresh blueberry juice? You don’t even have to spend on expensive ingredients because all of them can be found in grocery stores or as staples in your kitchen pantry. Between a blender and an electric juicer, the latter is my preferred option, and I’ve outlined why I prefer using a juicer instead of a blender in this post. Making your own blueberry juice is really all about buying good quality blueberries that must be firm and plump and free of any fuzzy white mold. Take note that shriveled blueberries mean they are old and will not taste as delicious as newer ones. Although smaller varieties taste richer, they have less of the antioxidant amount present in larger ones that have been cultivated. Additionally, cultivated blueberries have become available all throughout the year. Start off by rinsing the berries in a metal strainer with enough cold water to remove pesticide residue, soil dirt, bugs or other insects, and other kinds of debris. Make sure that you shake the strainer while rinsing the berries. The main event is, of course, the juicing itself and the star is your juicer machine. Turn it on and begin adding the blueberries into the juicer. After juicing the blueberries, I like to add a squeeze of lime, as I find it brings out the flavor of the berries and makes the drink even more refreshing. With an RPM of between 70 and 160, a slow speed juicer can reduce the oxidation of blueberry juice while juicing it and comes with extra gadgets to enable you to make blueberry smoothies, sorbets, and purees for blueberry syrup. The quality of the juice is also of much greater quality. 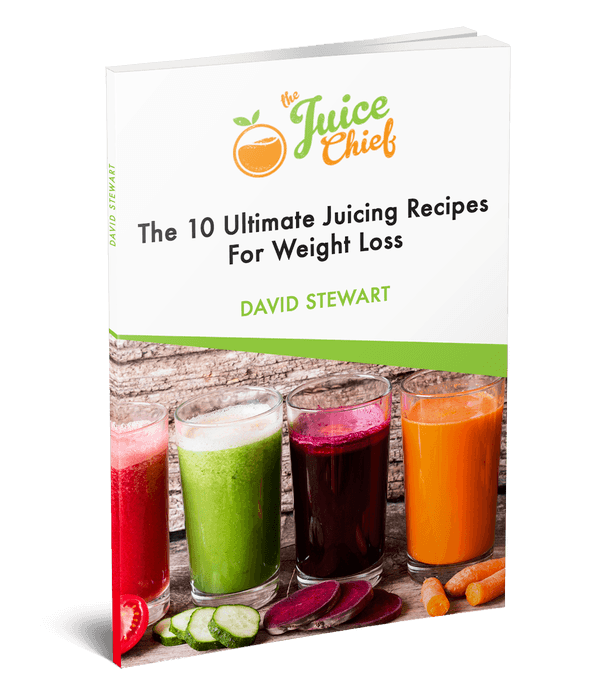 You can read up on best types of juicers to buy here. Instead of adding ice cubes to your homemade blueberry juice, freeze some of it into several ice cube trays and add these when you want to drink the juice. This ensures that you get a cool glass of the juice without diluting it with water from the ice cubes as they melt. Wear gloves when making your homemade blueberry juice because it can cause stains. In case you do get stains on clothing, remember to treat them as soon as possible. Use Nappisan for any stains. Don’t run any stained clothing through your dryer until the stain has been completely removed because dry heat sets stains. Where Can I Get Blueberry Juice From? 1) Try juicing blueberries yourself at home. Just follow the instructions given on this page as well as the 3 recipes further below. You will need to buy yourself a juicer if you don't already have one. ​2) If you don't own a juicing machine or would like to avoid making fresh blueberry juice from home, then you can buy blueberry juice concentrate, which is not usually very expensive and can last you more than 50 - 60 servings. Here's one that is very highly rated and popular at Amazon. ​3) The third option is to buy a bottle of blueberry juice from the local supermarket. You should however be aware that in many cases, commercial blueberry juice is packed with sugar, which can be detrimental to your health, especially if you are trying to watch your weight. So be careful if you buy ready made juice. 4) ​The fourth option if you wish to not buy a juicer nor buy the yucky sugar laden version you get from the supermarket, is to actually mix green juice powder with blueberry juice supplement. This will give you the blueberry juice benefits you are after and a lovely green juice without the fuss of using a juicer. Below you will find 3 fantastic juice recipes using blueberries. Follow the instructions and enjoy! Add all the berries into the juicer chute and juice away. The result of this rich-flavoured juice provides one of the most delightful and refreshing juices you will ever have. Highly recommended to drink this in the morning or any time after a physical workout. It’s an anti-oxidant blast! Juice the kale followed by the blueberries and finish off with adding the pomegranate juice into the juicer. By adding the pomegranate juice at the end, you will pick up the residual blueberries and kale. Although a simple juice to make, this is one low calorie juice you can have at any time of the day. Juice the blueberries followed by the grapefruit (pink if possible) and the oranges. Don’t forget to add a few whole blueberries into the glass for effect. A divine mixture of flavours any juice lover will enjoy. The final point I would like to make is that it's always best to consume fruits and vegetables in their raw forms, however for some, making blueberry juice at home using a juicer may not be their preferred option, in which case consuming blueberry juice concentrate is a great alternative. In whichever way you like to consume blueberry juice, you will enjoy the fantastic health benefits this super fruit has to offer.